I recently had the pleasure of visiting Commonwealth Couture, a vintage boutique right across the street from SMU in Snider Plaza. 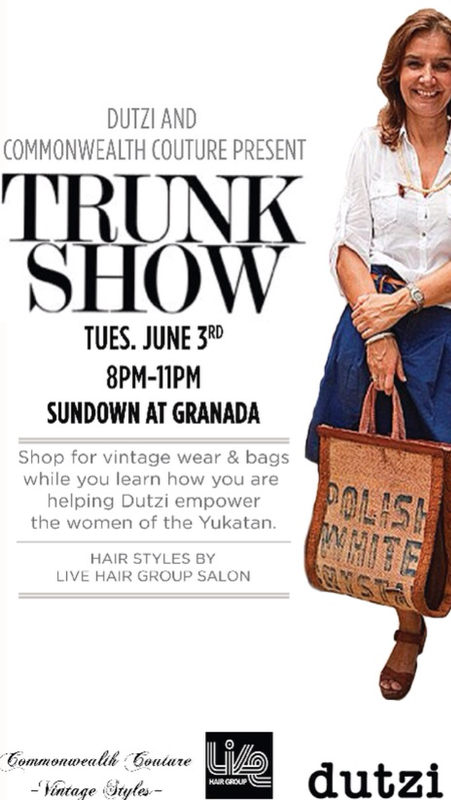 There's going to be an event that sounds really fun on Tuesday June 3 featuring vintage fashions from Commonwealth at the Granada in Dallas. You may remember when Small 4 Style featured Douleur and the store's entrepreneurial owner Giselle Ruggeberg. Giselle's the one who deserves credit for introducing me to Commonwealth Couture and reigniting my love of vintage. Hope to see you there, stylistas!